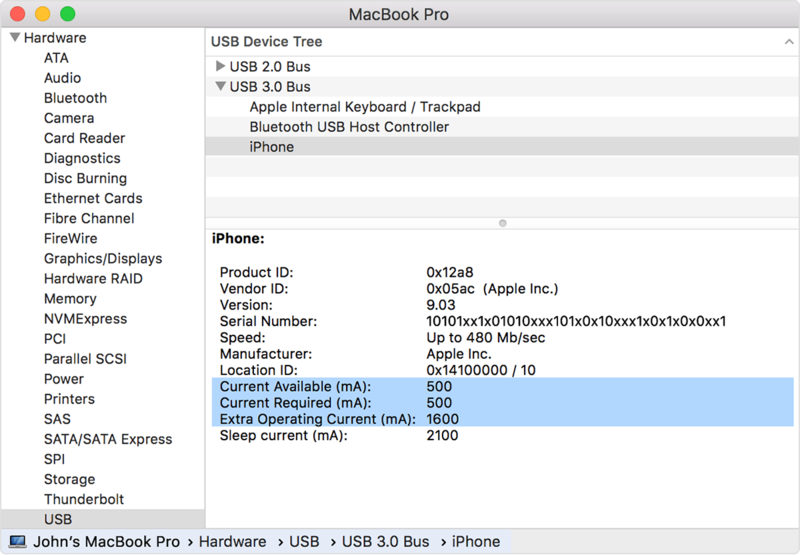 Do monitors & other peripherals with their own power source drain power from MacBook pro when plugged in via USB-C? I have 2 monitors plugged into my MacBook Pro 2016, one via USB-C and another through a 5-port hub with HDMI. When the MacBook is not plugged in to power (through the hub) it seems to drain power very quickly. Would the monitors cause this? Thx. Every device you plug into a USB port has a power requirement. Some are quite small in the milliamp range and some can be quite large, up to 5A of current. The more devices, the more draw. When you have monitors hooked up via USB, it's your CPU that is actually driving the display as there is no separate video adapter. Higher CPU cycles, more power draw. As your CPU works harder, fans have to kick on - another device, more draw. So, in short, yes, your monitors are causing the more rapid drain on your battery.